We are always looking for people who are willing to man a fundraising stall, hand out drinks to runners at sponsored events or help to source and wrap prizes. Fundraising events can be great fun, hard work, but extremely rewarding. Whether you are looking for work experience or have retired or somewhere in between there are always lots of jobs you could do to help us in our offices. Our staff are very busy supporting our clients, so there are plenty of admin tasks that you could do as a volunteer to help free up their time to work more intensively with clients. 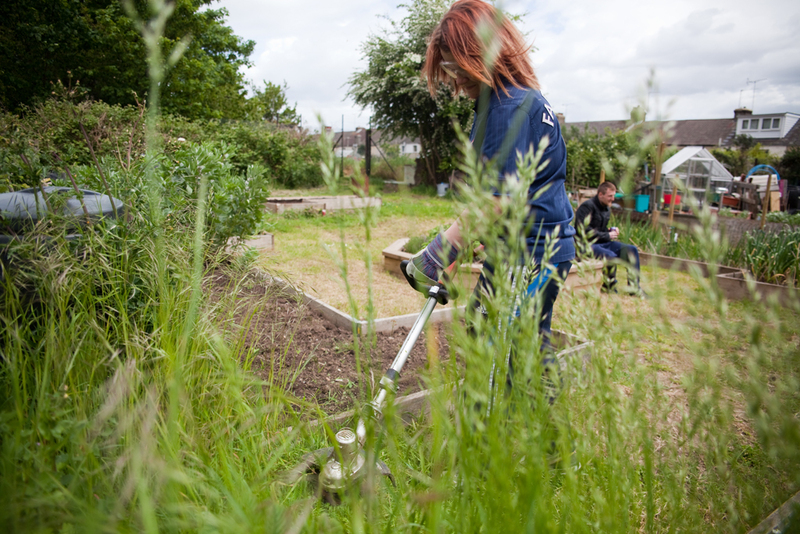 We run an allotment project in Gillingham and we will be looking for volunteers to support us by helping to garden, water and grow lots of fruit and vegetables. We have a trained Gardener who leads the project; so if you would like to learn how to grow fruit and vegetables whilst helping us to maintain our allotment this could be the project for you. If you are a keen cook we would love to hear from you too. Cooking is a vital skill for our clients and we run cookery clubs for them to learn how to cook. These are run by volunteers, we provide basic food hygiene training and the materials for our volunteers to inspire our clients with cheap, healthy cooking skills. If you think you have a skill that would help either our staff or clients we would be happy to hear from you. For instance we are considering running a learn to read project for clients and would like to hear from anyone interested in supporting our clients to read. If you would like to find out more about volunteering with Pathways please do get in touch. You don’t need to give a lot of time – we can help you to find an activity to suit the amount of time you have available. Many of our volunteers also work and juggle family commitments too.